The United States Commerce Department National Telecommunications and Information Administration (NTIA) this week confirmed it will hand over oversight of the internet domain name system root zone and other core internet infrastructure registries to the semi-private Internet Corporation for Assigned Names and Numbers (ICANN). The NTIA announcement is here. Privatization of the root zone oversight and the other tasks performed by the so-called Internet Assigned Numbers Authority (IANA), represented “the final step in the U.S. government’s long-standing commitment, supported by three Administrations, to privatize the Internet’s domain name system.” IANA also performs allocation of IP address blocks to the five regional IP address registries and manages the database for internet protocol numbers for the Internet Engineering Task Force (IETF). ICANN with a big effort from the stakeholder groups over two years prepared for the transition by hammering out new bylaws, new accountability mechanisms mainly through an empowering of the stakeholder bodies while fulfilling conditions set by NTIA, like remaining a private, non-governmental self-governance body. In June, NTIA concluded that the reforms proposed by the ICANN stakeholder bodies and the other IANA clients, the RIR and IETF communities, were in line with its conditions. With yesterday’s announcement, Strickling attested that ICANN has implemented or is about to implement all necessary reforms before September 30. On the list of items to be closed is one related to an intellectual property right on the name and domain name “IANA” which will be held for the communities by the IETF Trust. Points still to be finished off before the handover are ICANN Board approvals to a negotiated service agreement with VeriSign as “root zone maintainer,” (RZM) which basically is the back-end technical provider for executing changes to the central root zone and distributing them to the system of the 13 authoritative root zone servers. While VeriSign performed that task under contract with the NTIA for free, it will charge ICANN US$ 300,000 per year. Critical comments on the new RZM contract did not so much focus on the cost, but instead on the linking between the RZM contract and the extension of Verisign’s contract as .com-registry. RZM and .com should not be intertwined, wrote Georgia Institute of Technology professor Milton Mueller in an analysis of the RZM contract. Mueller in addition expects controversy over what could be seen as a potential back door for a future US government to take the root away from ICANN through US based VeriSign. US critics on the other hand were also quick in their reaction. Conservative think tank TechFreedom in a press release called Strickling’s announcement “a deliberate afront to Congress,” because NTIA neglected the call to stop expenditure on the IANA transition, as required in a budget appropriations act. “Making this decision obviously required NTIA staff time, and thus appropriated salaries–in addition to NTIA’s large expenditures on evaluating ICANN’s proposed reforms,” said Berin Szóka, President of TechFreedom. 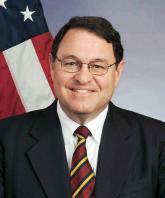 Strickling has continuously answered concerns from congressional members in defence of the transition. "US Government Announces Go-Ahead For IANA Transition By October" by Intellectual Property Watch is licensed under a Creative Commons Attribution-NonCommercial-ShareAlike 4.0 International License.